Do you ever sit staring at your computer screen, wondering what the heck you’re going to post about? 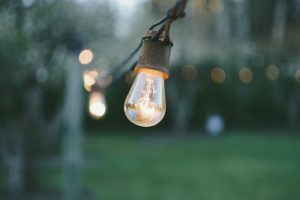 Maybe you scramble around for an idea – any idea! – and then rush into it. Or maybe you give up, and you don’t write a post at all. Whatever you blog about, at some point in the past, you knew little or nothing about it. That might have been years or even decades ago. What confused you?g. if you blog about short story writing, perhaps you didn’t have the first clue how to structure a short story. What did you learn the hard way?g. if you blog about parenting, perhaps you were completely thrown by your kid’s first tantrum and you had no idea how to react. What do you wish you’d known sooner?g. if you blog about healthy eating, perhaps it took you ages to realise that a lot of processed foods contain far more sugar than you’d expect. Any of these could make great topics for a post: chances are, if you found something tricky when you were starting out, your readers are struggling too. My readers have always been my best source of ideas. Sometimes, a reader suggests a post that I’d never have thought of on my own. This can happen quite naturally through blog comments and emails (look out for suggestions that aren’t explicit – you might not receive an email saying “here’s an idea for a blog post”, but you might get a question on a topic that would probably be of interest to a lot of your readers). Through surveys. You can get ideas and feedback from a lot of people at once, and you can ask about what topics they most like to read about, or what types of posts are most helpful, using multiple-response questions. Through one-to-one conversations. While this is obviously a lot more time consuming, it is a fantastic way to find out exactly what people are struggling with or desperate to know more about. If you offer short, free, consulting sessions, these can give you heaps of great ideas for your blog … and they could potentially become a paid-for service in the future. While you certainly shouldn’t take someone’s exact idea, there’s nothing stopping you borrowing their title and using it to create your own post. For lots more about drawing inspiration from other people’s blog post titles, check out my post How to Swipe Great Titles … and Use Them On YOUR Blog. Have you ever read a post that seemed to miss something out, or that made you think of another related topic? For instance, you might read a post on a blog aimed at mothers-to-be on “packing your hospital bag” – only to think that a great counterpart would be a post for fathers-to-be about what they should think about taking too. Depending on how closely linked your post is to the original, you might want to link back to it and acknowledge the source of your inspiration. 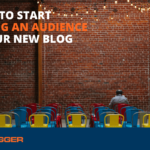 If your blog has been around for a while, you can use your own posts as a source of inspiration. 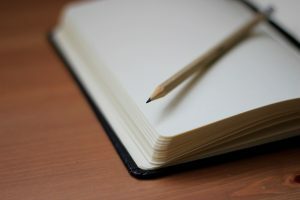 Perhaps you wrote something a few months ago that you realise could lead into a series of more detailed posts; maybe an inspirational piece you wrote could spark off a more practical post. What knowledge or skills are pre-assumed by this post? Could I write something that helps beginners get up to speed? What could readers tackle next, after reading this post? For instance, if you’ve written a post about crafting a great short story, the next logical step might be a post about editing short stories. Could you take a sideways step from the post? Maybe that post about crafting short stories could inspire you to write a post about crafting a poem. If the post is an old one, has anything changed recently? Could you write a new post explaining these changes? Some of my most popular posts are long, “evergreen” ones that have been around for several years: perhaps the same is true for your blog. Inevitably, information and links get out of date over time – and old, but popular, posts are great candidates to update and republish. You may also find that your writing style has shifted and developed, so it’s a good idea to do a thorough edit even of the parts of the post that are still factually correct. I recommend doing this by updating the content then changing the date of the post. Don’t copy-and-paste content into an entirely new post with a different URL: you won’t keep the search engine traffic from the old post (which has probably been linked to be various other websites). Some bloggers are reluctant to republish old posts in case readers complain: in my experience, readers (even ones who’ve been around a while) aren’t likely to even notice that the post has been around for a while! Even if they do, they’ll likely be glad to have an updated version. 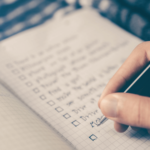 Schedules like this can be helpful for readers, who may like to know what to expect from your blog; more importantly, though, they give you a starting point for coming up with ideas. I know it might seem counter-intuitive, but it’s much easier to come up with ideas when you’ve got some restrictions in place (e.g. the idea needs to be for a “how to” post). If instead you could blog about anything, you’ll probably find your mind going blank. You can do this in any way you like: as a list in a Word document, on individual post-it notes, using mindmapping software … whatever works for you! 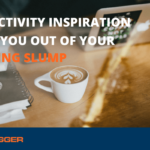 However uninspired you feel, if you sit down for 20 minutes and force yourself to do nothing except come up with ideas, you really will get some ideas! Some may be weak or unusable … that’s fine. Sometimes you need to work through those to get to the really good stuff. 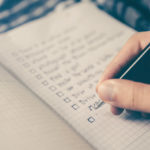 While you can swipe titles you’ve found on other blogs (see #3), if you want to come up with a lot of titles at once, it’s helpful to have a list of ready-made ones. One of my favourite sources of these is Jon Morrow’s ebook Headline Hacks. Some of his headlines are a little high-octane for my personal tastes, but there are plenty that I really like. You might like to use this technique alongside #8: spend twenty minutes, perhaps once every week, working through some template titles and creating versions that would work for your blog. While I find it helpful to start out with a title in mind, some bloggers prefer to work with a more general idea (or partial title) and gradually refine it. If you have a more personal, essay-style blog, you may also find that pre-written titles don’t really fit with your tone or content. There are hundreds of blogging prompts all over the web. 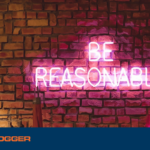 ProBlogger has a great set of them – six month’s worth! – which you can download completely free here. It’s simply not true that some people are really good at coming up with ideas while others are doomed to struggle. All of us can come up with more than enough great ideas, if we deliberately set aside time for this. Which of these idea-generating tips will you try out this week? Or do you have a different way of coming up with ideas? Share your thoughts in the comments below. 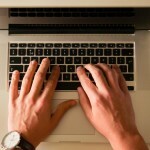 The post How to Come up With More Than Enough (Great) Ideas for Your Blog appeared first on ProBlogger.